PR Painting and General Services, Inc.
G and S Construction, Inc. Comment: Siding has blown off (or in process of blowing off) third floor. Need some replacement white vinyl (home depot fine) cut and nailed. Comment: During a recent windstorm 3 sheets of siding blew off. This is old aluminum siding fro the 1960's. first time any of the siding has blown off. I recovered the 3 sheets. Comment: Edge of house (eave) was chewed through by squirrels and fell off in a windstorm. Needs to be rebuilt, attached and painted white to match the rest of the house trim. Our exterminator put up a temporary "fix," metal fabric, to keep out the critters, but we are eager to have a permanent repair. Comment: I live in Watertown. My 2-Family was built around 1925. It is stucco on the bottom and siding on the top. I have owned the house for 25 years and done nothing but have the stucco painted. I am not sure if I want to just replace the stucco w/ siding, vinyl or other and do the whole house or what but the stucco is cracking and pulling away from the house in the back. Watertown Siding Contractors are rated 4.74 out of 5 based on 1,971 reviews of 54 pros. 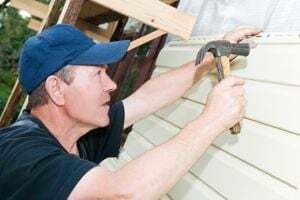 Not Looking for Siding Contractors in Watertown, MA?